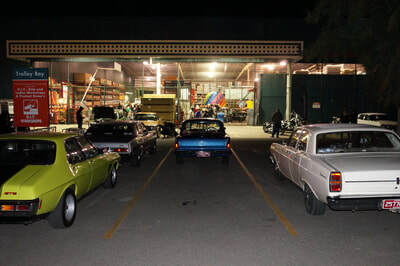 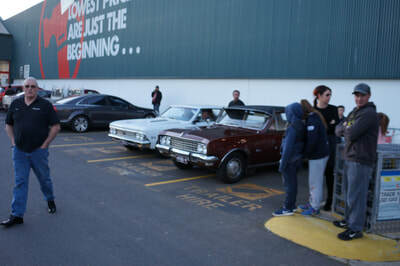 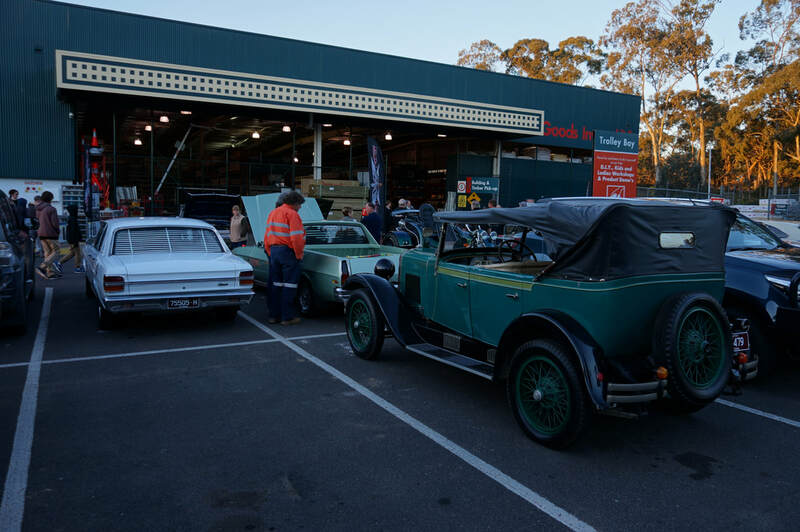 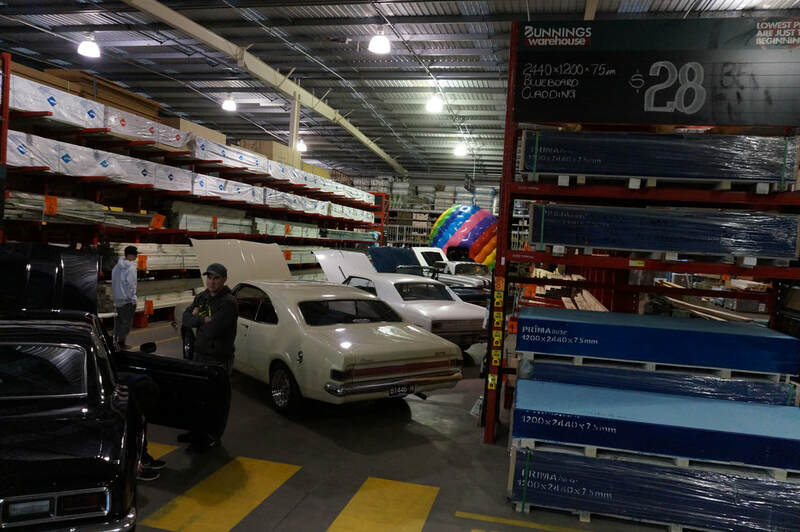 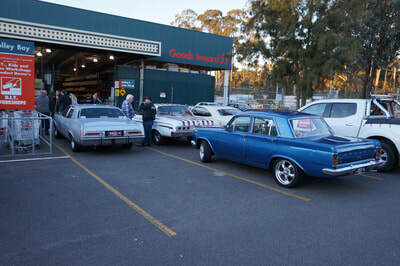 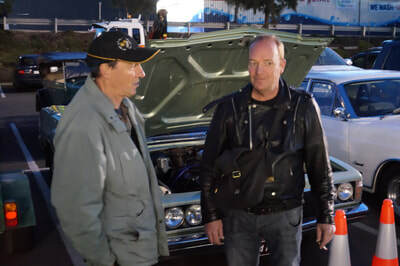 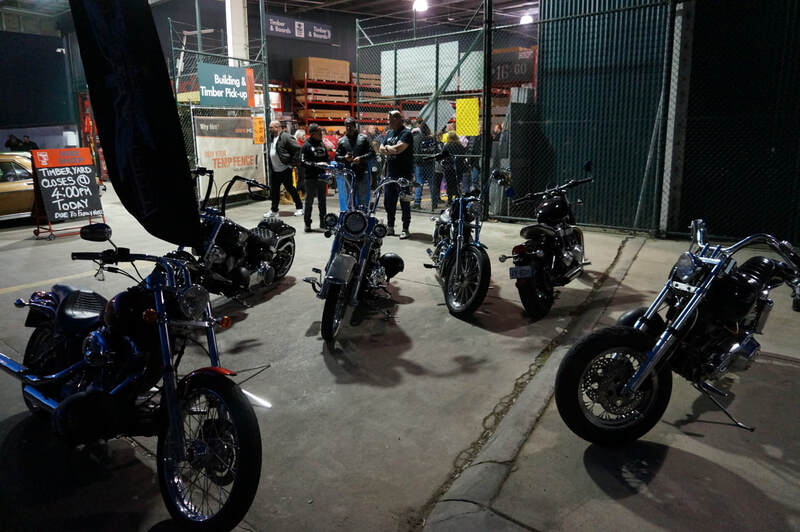 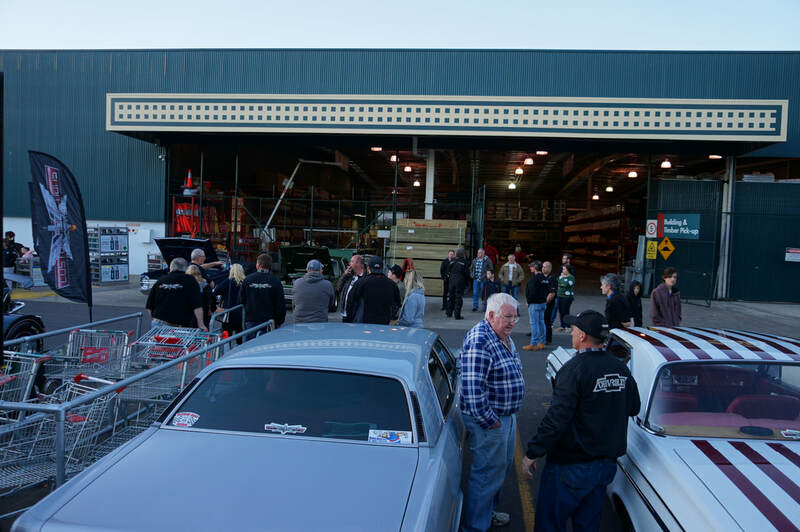 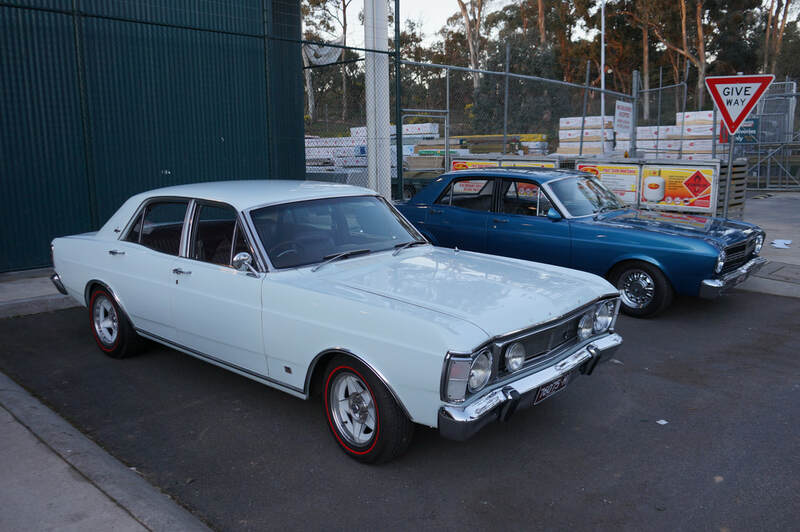 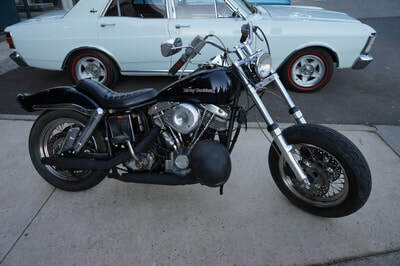 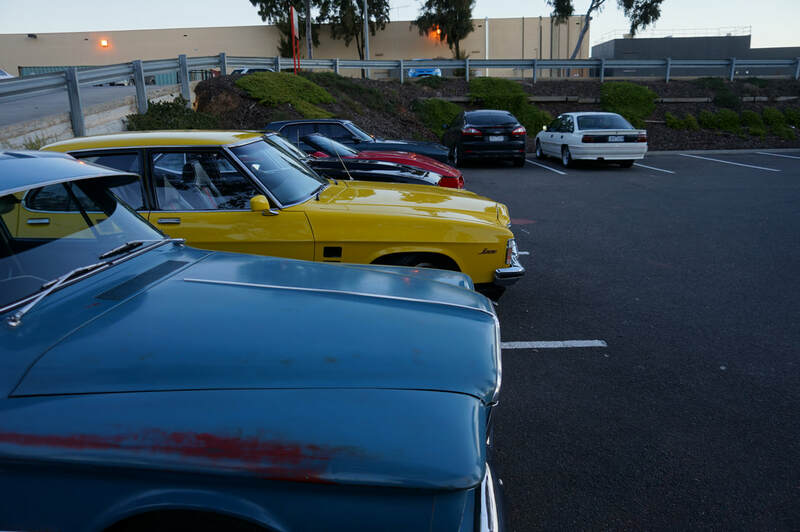 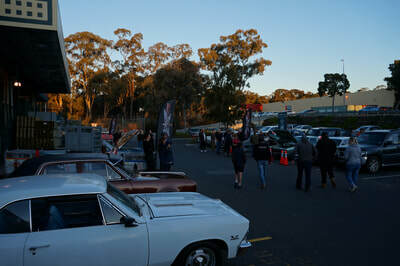 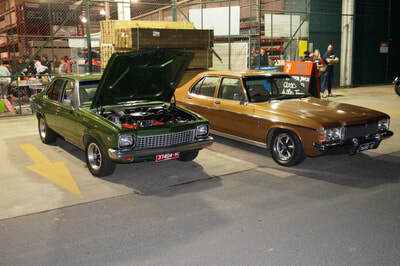 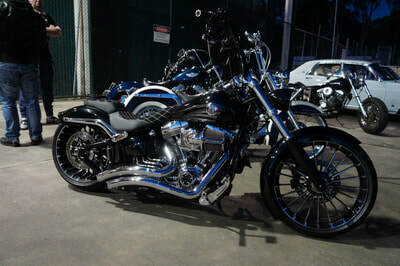 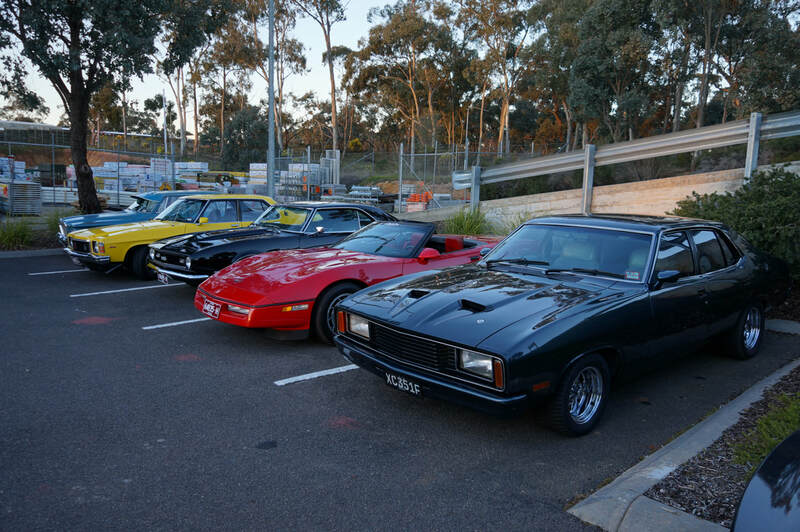 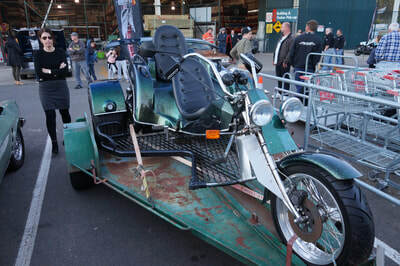 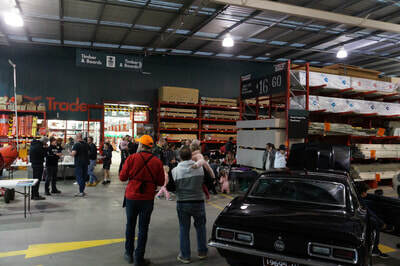 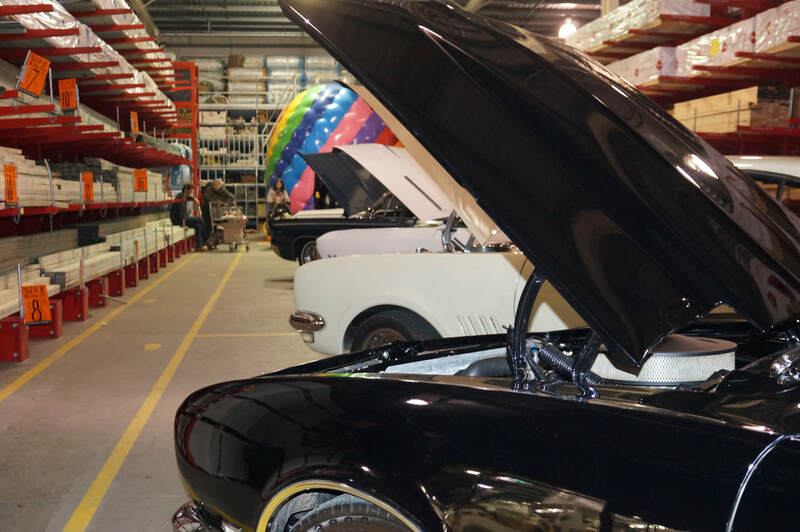 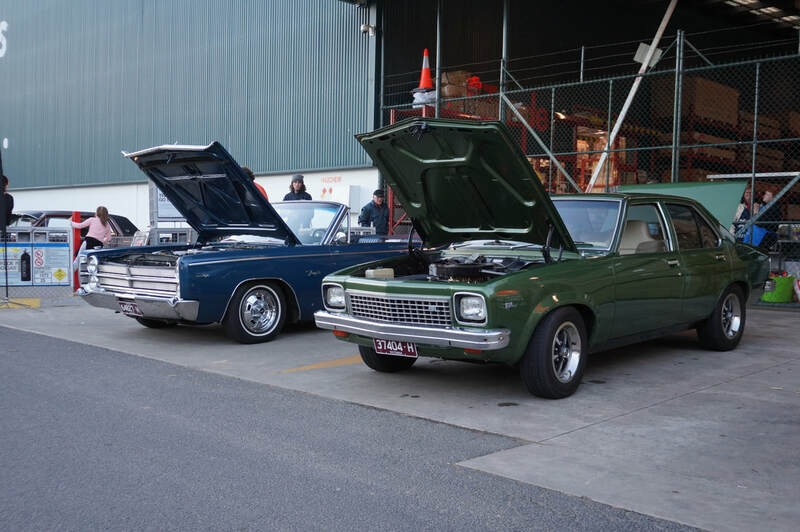 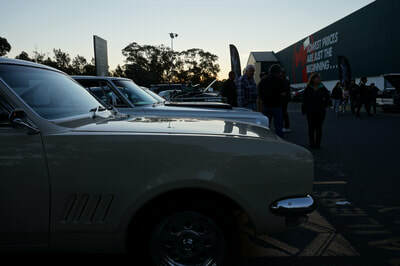 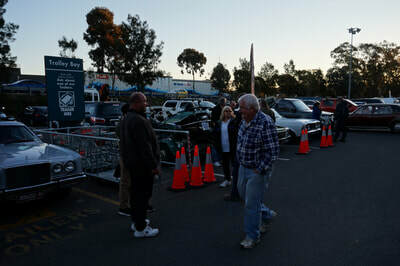 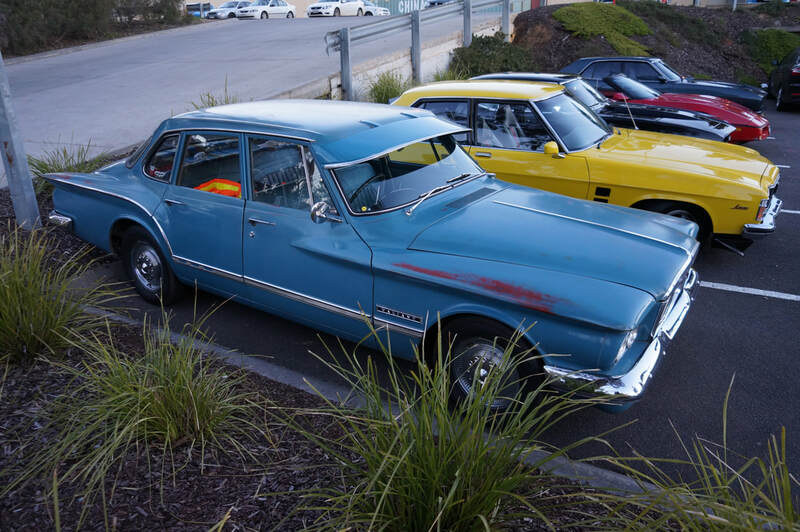 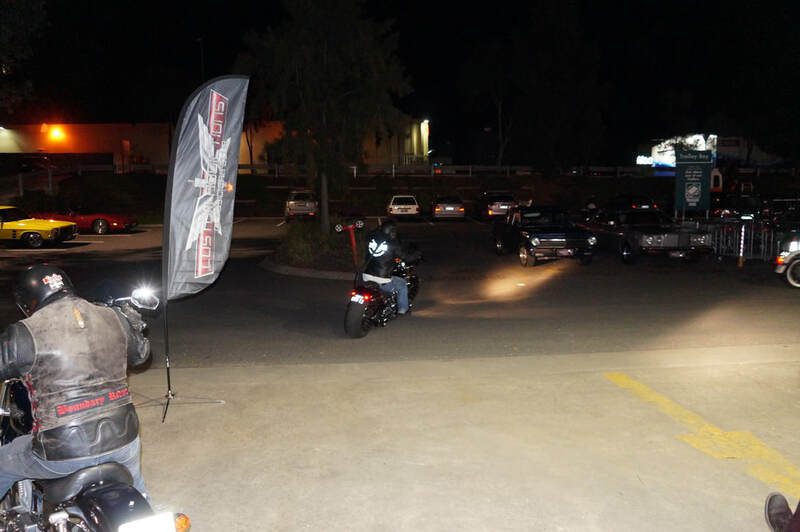 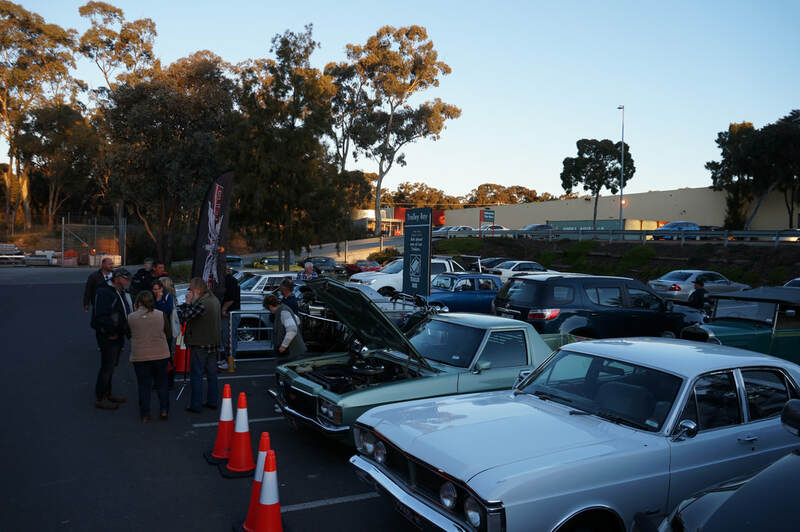 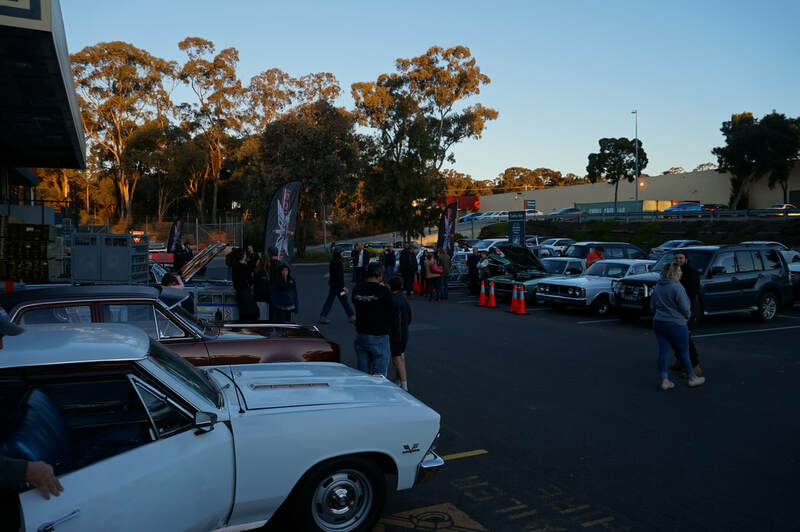 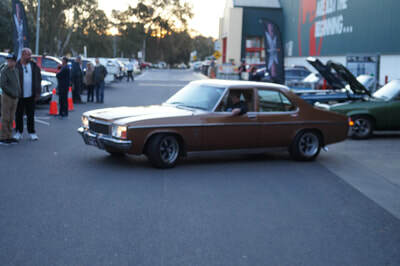 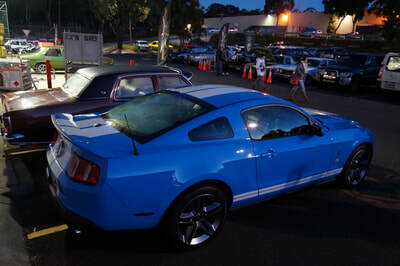 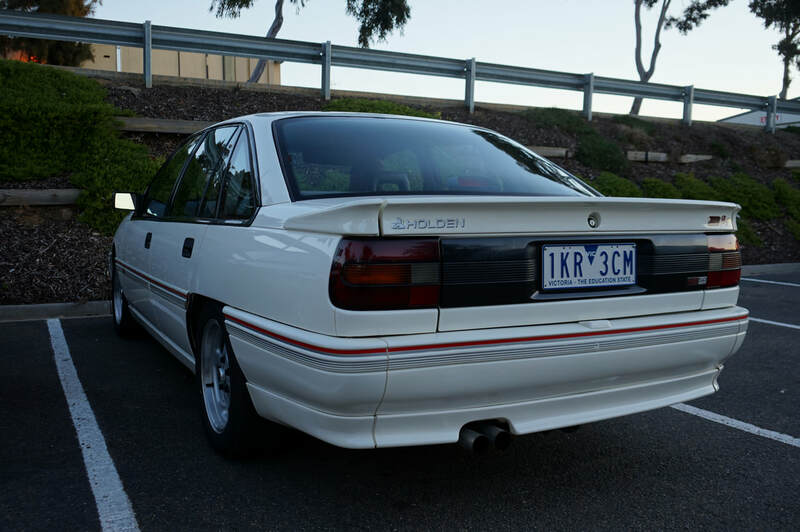 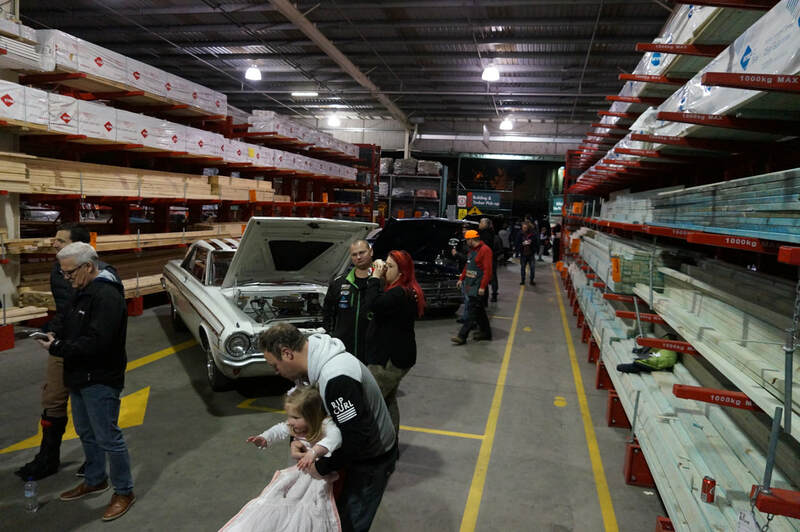 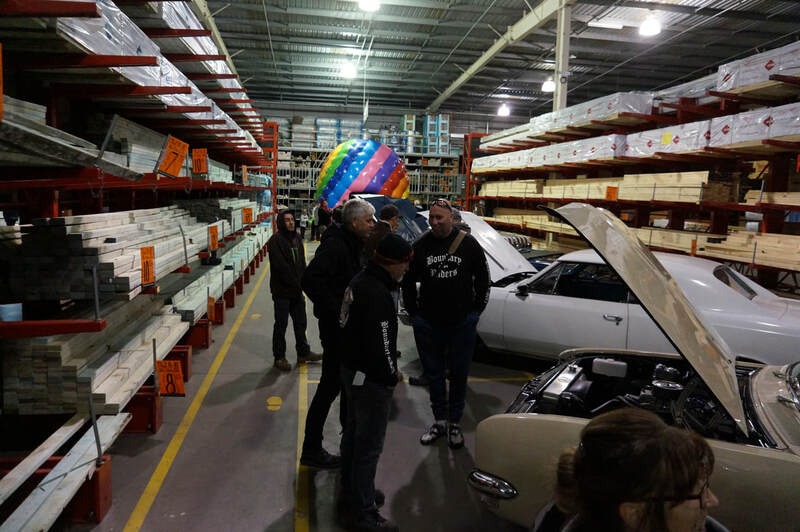 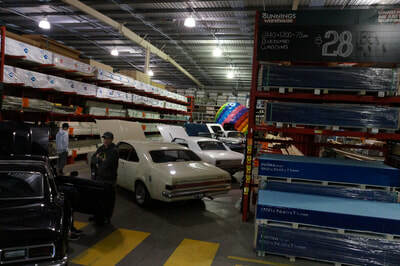 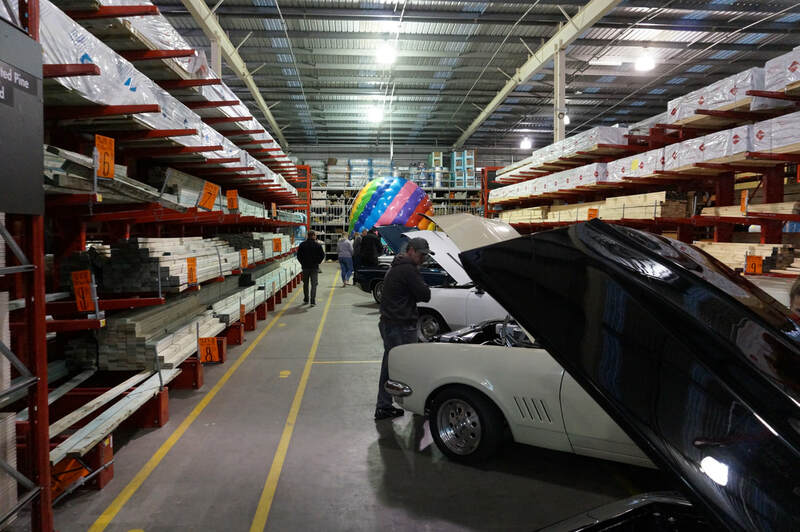 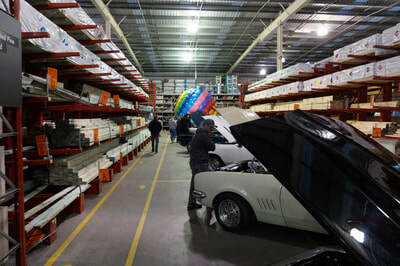 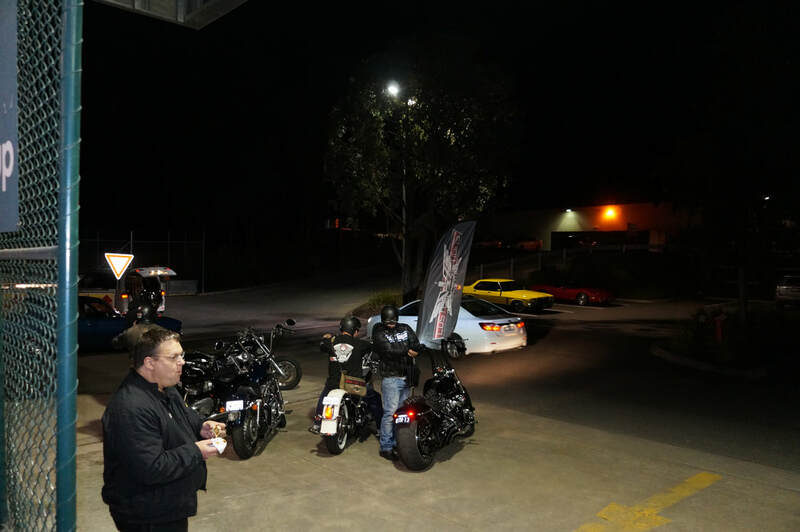 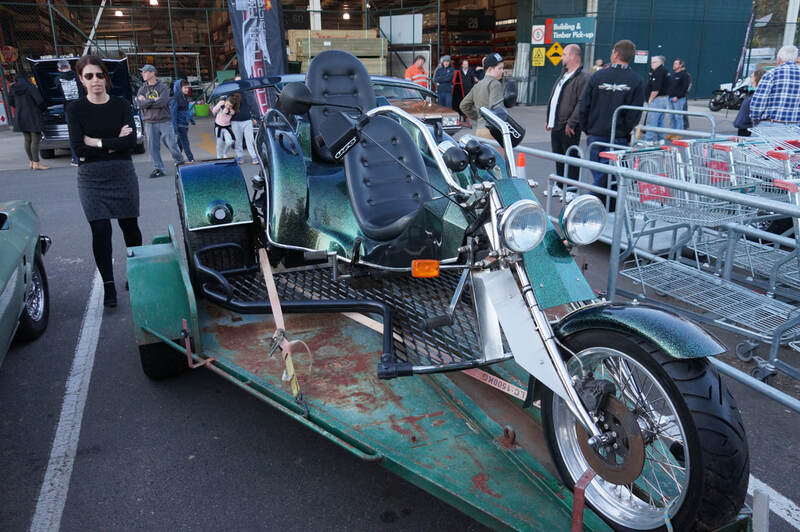 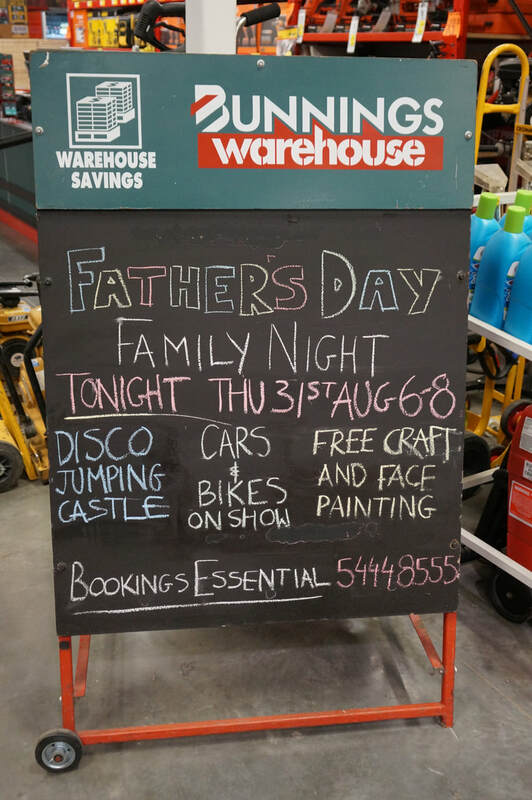 Several weeks ago the Club received an email from Bunnings asking if we'd be interested in displaying some cars and bikes at their Fathers Day Family Fun Night. 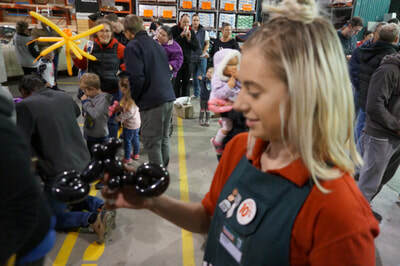 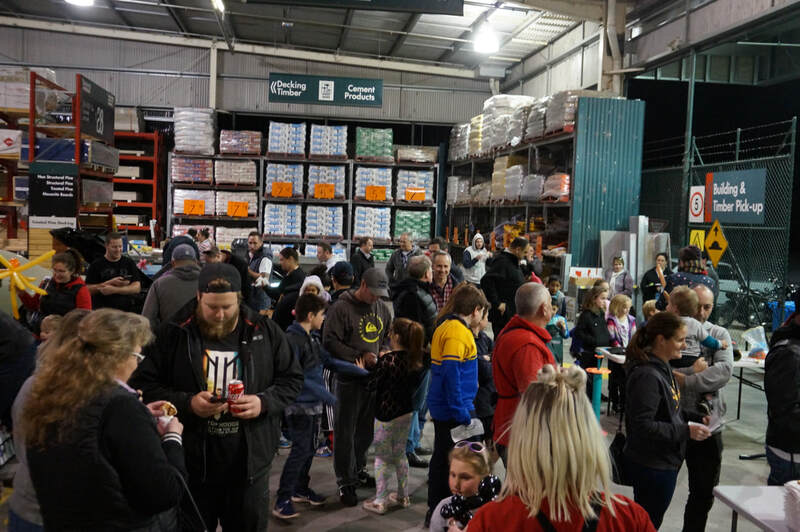 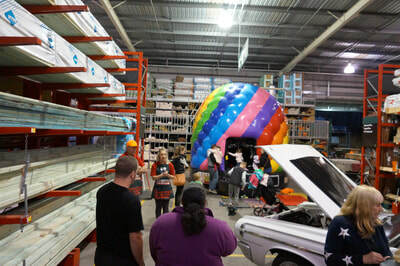 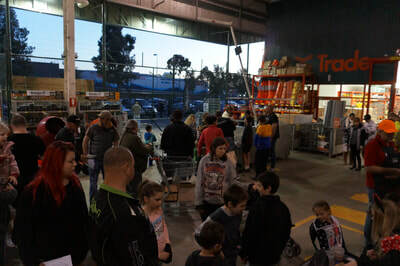 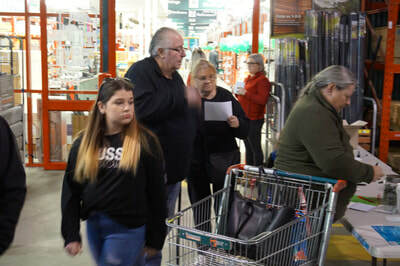 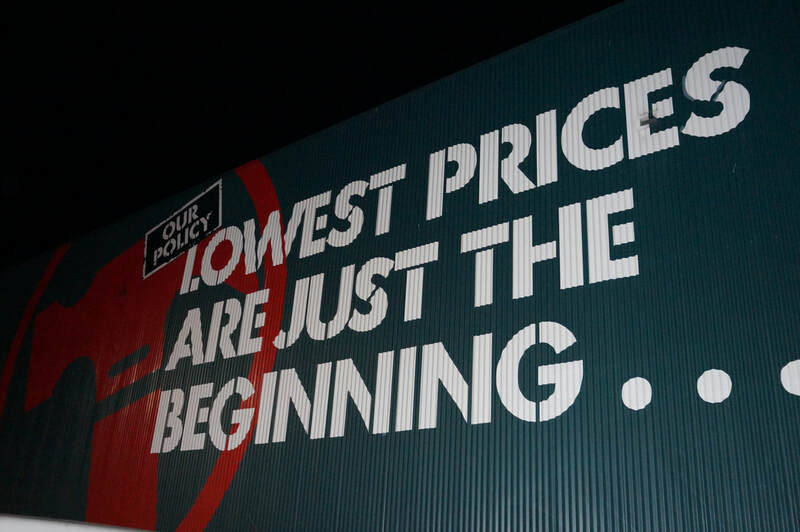 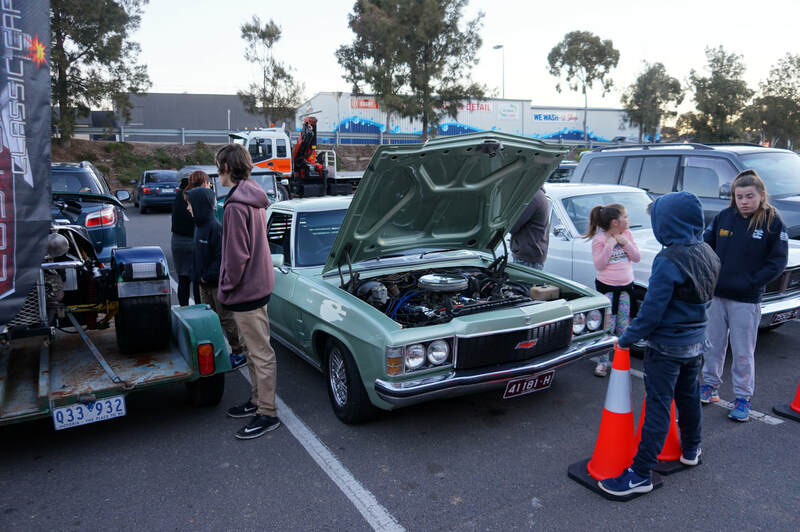 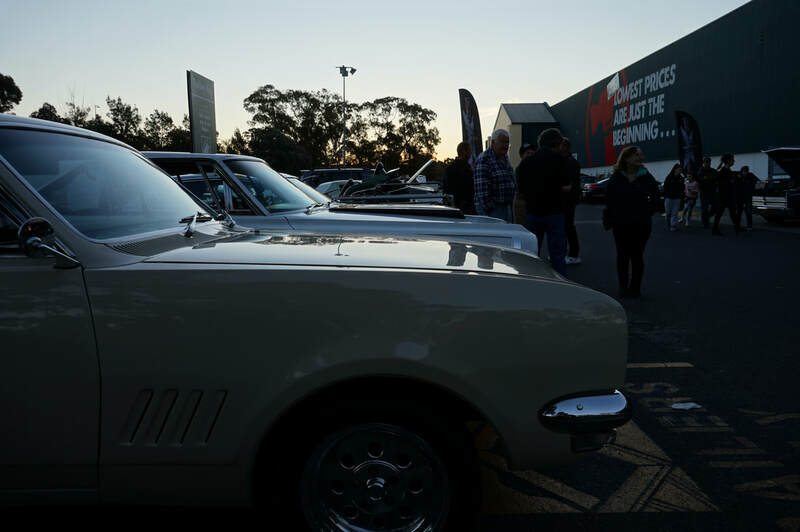 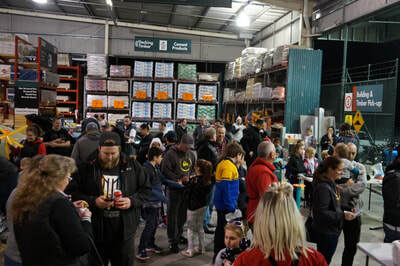 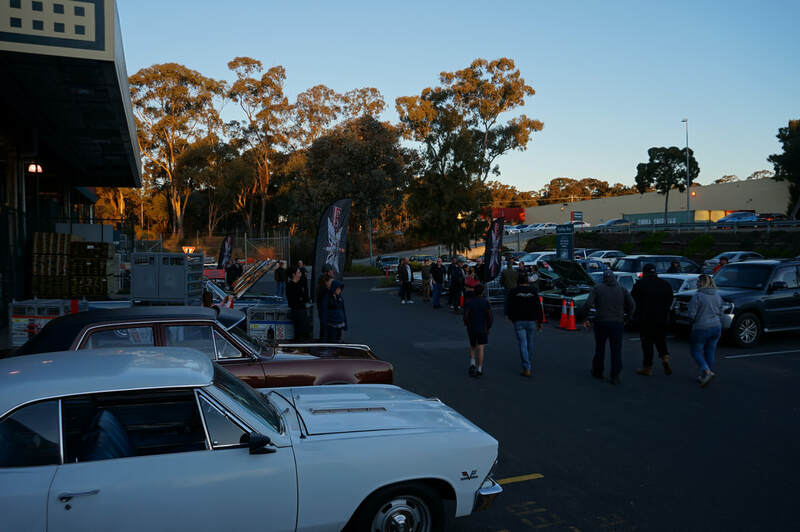 This annual event, organised by Kaisha at Bunnings Kangaroo Flat, was to be held on the Thursday night prior to Fathers Day and comprised activities like face painting, jumping castle, crafts, tool workshops and free sausage sizzle and drinks. 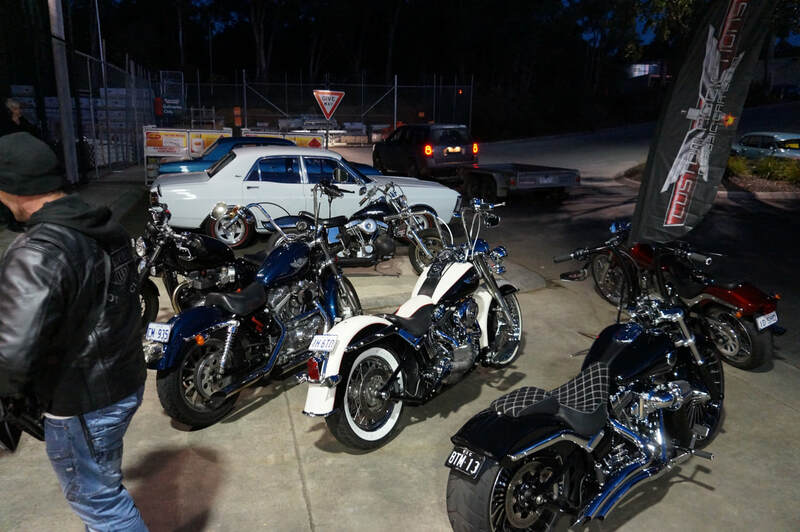 Members would recognise that's pretty much the same format as our regular Friday nights at the Clubhouse. We were once again blessed with fine sunny weather and it seems the Big Guy in the Sky is still lookin' after us, although He could have raised the temperature a bit for the night. We had an awesome turnout of vehicles with around 25 cars and a pack of bikes arriving at 5.30 for the display. 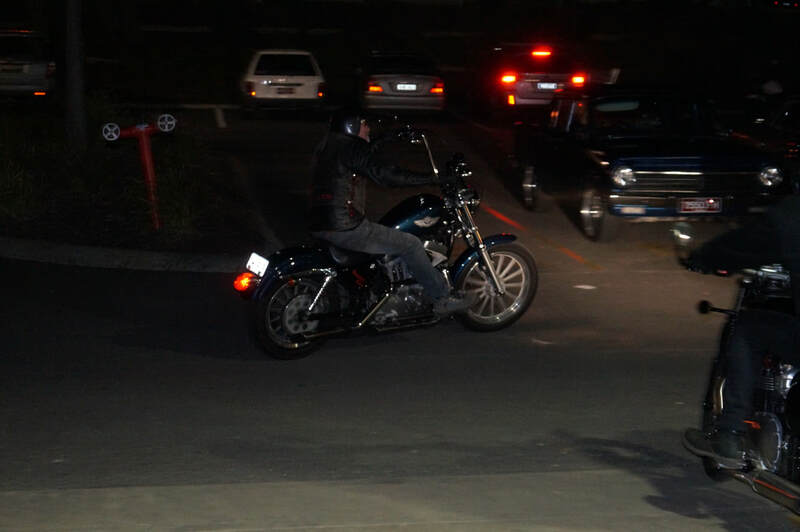 It was obviously gonna be a freezing night - and most of us car guys have heaters - so a big thanks to the blokes that rode their bikes. Three of our members - Deano, Nick and Stan - and a group of Boundary Riders - you guys have no feelings. 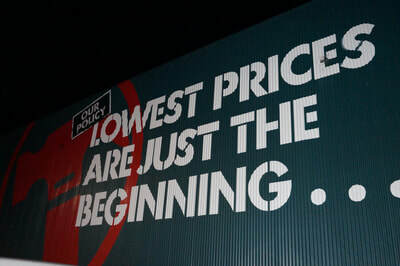 (Sorry if that seems a little harsh, but already published, can't take it back....). 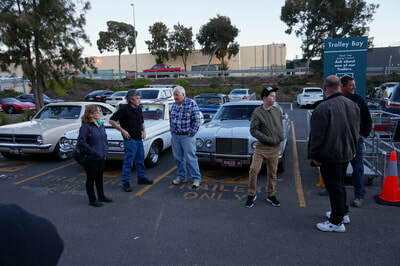 It was great to see some rarely seen vehicles and even some prospective new members came along for a chat and a free sausage. 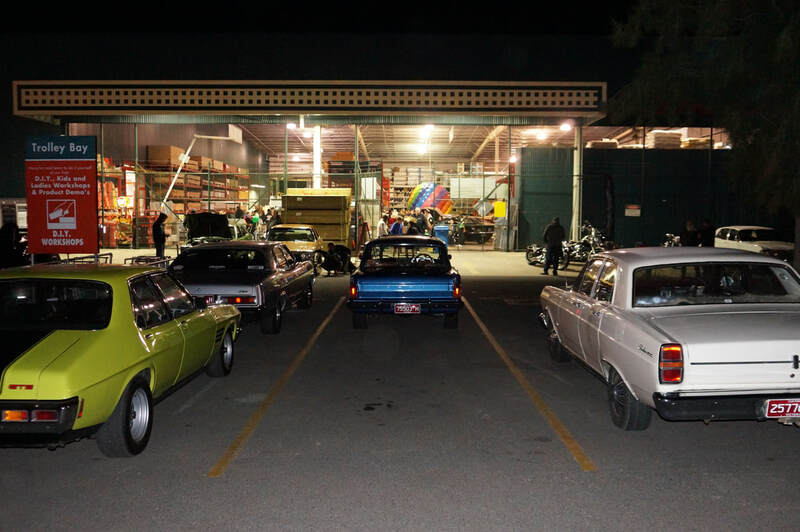 All in all, a good night for those that attended. 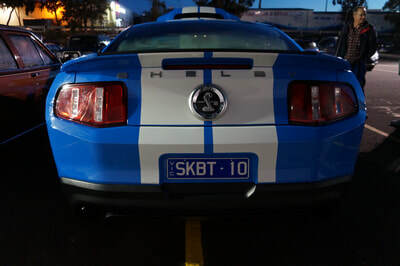 Thanks for making the effort it is very much appreciated. 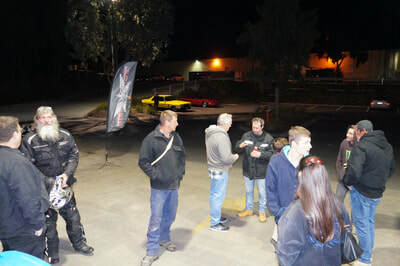 Also, thanks to Kaisha for inviting Custom Addictions to be part of their Family Fun Night.